This is giving us a right royal fever! Prince Harry may have just married the woman of his dreams, Meghan Markle, but that doesn't mean the couple can't help but look like love-struck teens! And, as it turns out, Prince Harry got his PDA gene from his dad! 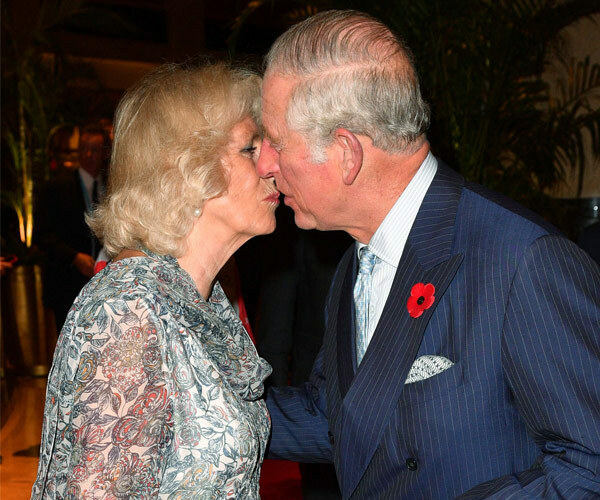 Prince Charles is no stranger to showing Duchess Camilla how he really feels. In some very rare moments - three times on film! - the heir-to-the-throne can't help but give his wife a sweet kiss. These two are the picture of love. Throw royal protocol to the wind and just kiss the girl! There's nothing more than we love when a royal decides to throw away their "keep calm and carry on" mantra - and show us how they're really feeling. From The Queen giggling her hat off, Harry and Meghan showing each other they care, to Duchess Catherine and little Prince George chuckling away, we celebrate the best candid moments from the British Royal Family! Many fans of the beloved royals will remember Princess Diana's vivacious love for life, with it often being captured on film. Whether she was in war-torn Africa or giving her kids a hug, the people's princess showed the world her true self. Just because their life is ruled by pomp and ceremony doesn't mean they can't have some fun! And that openness has transcended into the next generation - with her children Prince William and Prince Harry carrying on her natural spirit. William, now 35 and a father, often shows his tender side with wife Duchess Catherine and their three little ones, Prince George, Princess Charlotte and newborn Prince Louis. While Harry can't help be one incredibly charming Prince... Lucky Meghan Markle! We can't wait to see the full cast and crew in action for the Royal Wedding this weekend, keep reading to check out The British Royal Family's most candid moments! In 2016, we saw Duchess Catherine's vivacious personality shine through as she and Prince William embarked on their exotic adventure to scenic India. A joyous moment new parents, royal or not, will recognise. Catherine and William are about to return to Canada as parents but when they first went to the maple-famous nation, the duo were blissfully in love as newlyweds. They couldn't stop giggling as they chatted to a medical test mannequin at the University of Calgary's Ward of the 21st Century in Calgary, back in July 7, 2011. While many think cheeky George brought out out the candid side of the royals, a young Princess Elizabeth, aka Lilibet to her loved ones, also shared her great-grandson's sense of adventure. And there some delightful moments when Britain's longest reigning Monarch, now 92, shows her inner Lilibet! But of course, Prince George is the family's resident cheeky monkey. The adorable four-year-old had his grandfather Charles and mum roaring with laughter at Trooping the Colour last year. We're particularly fond of Charlotte's bemused expression, something we're expecting she'll master as the Prince's little sister. There's something magical about Catherine and William's love. After meeting a young Kate Middleton at St Andrew's University back in 2001, the pair became fast friends before officially becoming a couple two years later. We love watching the couple joke about! Fast forward to 2010, a besotted William popped the question on a trip to Kenya. We adore this quiet moment between the pair during their first royal tour of Australia in 2014. William may be in stunning Sydney Harbour, but he only had eyes for Catherine. "There's a true romantic in there," Catherine once mused about her man. The duo have the world's WORST poker faces! Don't worry Captain Wales, we haven't forgotten about you. 33-year-old Harry has a loyal fan base thanks to his contagious charisma. Only the Prince could make sticking your head into a shark's mouth endearing. 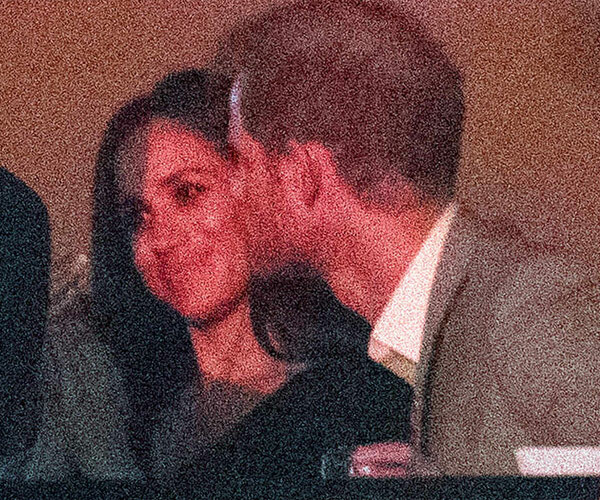 Who can forget the moment Harry took things to a whole new level, going public with Meghan Markle at the Invictus Games? Seriously, this is the picture of love! We can't wait to see these lovebirds prosper into wedded life. Of course, William and Harry are a credit to their incredible mother, Princess Diana. She shines brightly in the next generation of royals. Many can't help but notice that Catherine has that same infectious warmth. The future Queen can't contain her love for kids. And that grin lights up a room! We dare you to try not to smile when you see this. Clearly she loves a giggle. "I had the Levis guy on my wall, not a picture of William, sorry," she once quipped in response to rumours she grew up with pictures of her now-husband on her bedroom wall. The Princess' guide to a Marilyn Monroe moment: Casual shade and hella good side-eye. Bow down. We have to credit our current king of candid, George Alexander Louis, Prince of Cambridge. The tot has no issues showing us how he really feels. Check out his cutest moments in the next slide. Gallery continues after the video! Dad Wills is actually a lot of fun! But we're not sure how Kate feels about William's yoga moves. When Wills was young, his father called him "whirlwind Will". Some of his finer moments include a habit of flushing shoes down the royal loo, pushing the palace panic buttons and threatening to behead his friends or lock them up in the Tower of London. So that's where the Cambridge smile comes from! The second-in-line to the throne has a charming ability to make those around him chuckle. Bob Geldof recalled he was once invited to Kensington Palace, when a very young Wills quipped to his mother Diana, "Why doesn't he wash his hair?" He may be the future King of England, but good 'ol Charles likes to fan girl over a Spice Girl as much as we do... Also a shout out to Jen Aniston, who looks envious! The moment all father's dread... their children attempting to explain technology and the intricacies behind the SMS. Don't worry, we'd be spinning around too! Miss Kylie Minogue accidentally sends Prince Charles into a giggling tizzy. Being starstruck runs in the family... Here, William and Kate share a laugh with JLo. And we can't forget Princess Charlotte... Watch her adorable meltdown during the royal tour of Poland! Nothing a pint can't cure! A battle for the books. Last year, the brothers went to the Star Wars studio and got their hands on some lightsabers. May the force be with them. "He's definitely got more brains than me I think we've established that from school, but I'm much better hands on," Harry once remarked about his big bro. William and Camilla could barely contain themselves at the 2014 Invictus Games opening ceremony. We're not really sure what is happening... As you were! Hello granny! Princess Beatrice flashes her pearly whites.